We rounded up the cutest tweets and Instagram snapshots of some of our favorite celebrity moms including Shakira, who shared an adorable new photo of her son Sasha. Blake Lively revealed her favorite mom jeans, while Katie Holmes shared a rare snapshot of Suri. Kim Zolciak, Kristin Cavallari, Emily Maynard and Olivia Wilde round out our list of the most buzz-worthy celebrity moms of the week. 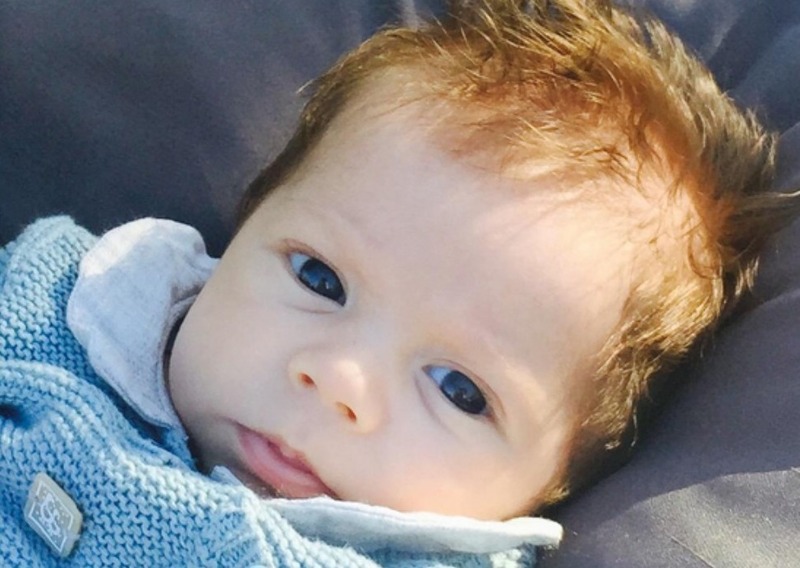 Shakira’s 10-week-old son Sasha is just the cutest. The singer shared this new snapshot of her son. “Sasha out for a stroll,” she captioned the sweet picture. Shakira and her boyfriend, Gerard Piqué, also have a 2-year-old son named Milan. New mom Blake Lively, who gave birth to her daughter James four months ago, shared this chic photo on her Instagram page. She even revealed her favorite new mom jeans. “Benefits of boyfriend jeans #72: They fit even after having a baby,” she captioned the photo. These Rialto roses boyfriend jeans better fit well — as they will cost you $495 on her Preserve website. Gulp. Katie Holmes shared this rare snapshot as she and 9-year-old Suri play dress up. In the fun snapshot, Katie and Suri are wearing matching large glasses and pink boas. Kim Zolciak is back at the extreme waist-training again, as shown in this new picture on her Instagram page. “Jet Setting in my @nowaistclique trainer!! I take it and wear it as much I can. Even when traveling,” she captioned the photo. The Real Housewives of Atlanta star, who has six kids, loves sharing photos of her post-baby body — and laughs off claims that she uses Photoshop on her pictures. Zolciak isn’t the only one who loves squishing her internal organs — check out other celebrity moms who love to waist train. Olivia Wilde shared this adorable picture as she hams it up with her son, Otis. “My kind of party,” she captioned the photo of her playing with her son on the floor as her dog sleeps nearby. Otis’ father is Saturday Night Live alum, Jason Sudeikis. So this is how Kristin Cavallari stays in such good shape — by flipping enormous tires! The Bachelorette alum Emily Maynard showed off her baby bump as she played with her daughter, Ricki. She and her new husband, Tyler Johnson, are expecting their first baby together.